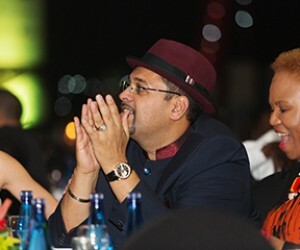 On Friday the 31st of October, Black Business Quarterly (BBQ) Magazine, together with Motlekar Holdings, hosted the 13th annual BBQ Awards at Emperors Palace. 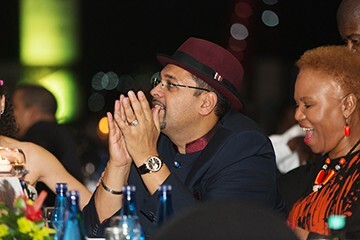 As South Africa's most prestigious and longest-running black business awards ceremony, the event honoured top performing black owned businesses and leading black entrepreneurs. It also acknowledged companies and individuals who have embraced the spirit of transformation, good corporate governance and ethical leadership. The Phakisaworld Fleet Solutions Outstanding Woman in Business Award was presented to Nonkululeko Gobodo, Executive Chairman of SizweNtsalubaGobodo - the largest national black owned accounting firm. This award recognises an influential female who is a majority owner, partner or major shareholder that provides active day-to-day management at a for-profit business. The Hennessy Businessman of the Year Award is given to an influential male who is a majority owner, partner or major shareholder that provides active day-to-day management at a for-profit business. This year the award went to Thulani Majola, Group Chief Executive Officer of LTE Group of Companies. The Public Sector Visionary Award, which recognises a male or female who has made a significant impact within the public sector, was presented to Siyabonga Gama, Chief Executive of Transnet Freight Rail Limited at Transnet SOC Limited. The Ulwazi Group New Entrepreneur Award went to Keith Nkuna, Chief Executive Officer at Nkanu Holdings. The award is presented to a new BBBEE business sector entrant, whose enterprise has displayed exceptional progress and influence over the last 18 months. The Nestlife Assurance Young Business Achiever Award, which is bestowed on a young entrepreneur, aged between 21 and 35, for doing business in a new, cutting-edge 21st century arena, was given to Thulani Qwabe of TaxiChoice. The MediClinic Community Builder of the Year recognises an entrepreneur who has demonstrated a commitment to community development via their business, with the use of innovation, leadership and involvement. This year the award was bestowed on Joyce Ndeza of Vukani-Ubuntu Community Development Projects. The Iqhawe Mentorship Award, which is given to an individual that has demonstrated commitment towards the development and mentoring of aspiring entrepreneurs, went to Simphiwe Ntlantsana, Managing Director at Ntlantsana Accountants and Auditors (Pty) Ltd. The Coega Development Corporation Construction SMME Infrastructure Development Businessman of the Year Award is given to an individual who is a majority owner, partner, or major shareholder, providing active day-to-day management for a for-profit business. This year’s winner was cidb Board Chairperson, Bafana Ndendwa. The Coega Development Corporation Construction SMME Infrastructure Development Outstanding Woman in Business of the Year Award went to Thandi Madzonga, Director at Dzongi Property Developers. This award is bestowed upon an individual who is a majority owner, partner, or major shareholder, providing active day-to-day management for a for-profit business. The Coega Development Corporation Construction SMME Infrastructure Development Young Business Achiever of the Year Award celebrates a young business achiever under the age of 35 who is doing business in a new, cutting edge arena. The award was given to Sandi Mbutum, ‎Executive Director and Shareholder at Pentad Quantity Surveyors. The Motlekar Holdings Platinum Award is bestowed on one of the winners of the individual categories, who displays qualities of leadership, is actively involved in job creation and strives towards a greater vision for South Africa. This year, the award went to Phuti Mahanyele, CEO of Shanduka Group. The Trade & Investment Kwa-Zulu Natal Best Established Black Business Award, went to Sizwe Ntsaluba Gobodo. The award is presented to an organisation that is a role model in being more than 50% black owned and showing an active involvement of black participants in executive decision-making. The Spring Lights Gas CSI-Ubuntu Award, which acknowledges an organisation that has displayed evidence of social responsibility over the last 12 months, was awarded to PPC Ltd. The ubank Best Established SMME Award is awarded to an SMME organisation that has excelled in contributing towards skills development of its employees. This year’s recipient was Phungwayo People Development Resource. The winner of the Emperors Palace Best Employer Award, which recognises an employer who engages and encourages employees to strive for excellence in various areas of their work, was Quest Staffing Solutions. The Opel Astra New and Innovative Business Award is presented to a business that has been in operation for more than 36 months and has excelled in displaying innovative qualities within a relatively unknown industry. This year, the award went to FlavaLite Innovations. Winning the Exxaro Transformation Champion of The Year Award was PwC. This award is bestowed on an organisation that has shown a passion for the development of sustainable economic transformation of South Africa. The General Electric SA Best Enterprise Development Programme Award was presented to Vukani-Ubuntu Community Development Projects. This award goes to an organisation that has demonstrated the best enterprise programme according to various criteria such as having a BEE certificate level of six or higher. “This year’s winners have proven their commitment not only to Broad Based Black Economic Empowerment (BBBEE) but, in doing so, to the country. Through their efforts they are highlighting the potential of BBBEE to redress inequality, boost economic growth and create a better life for all,” said BBQ Editor, Lindsay King.